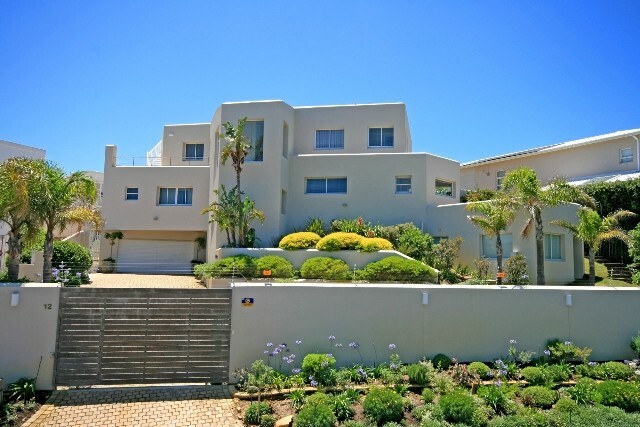 A beautiful Plettenberg Bay holiday home within close proximity to Robberg Beach Â± 100m, ideal for that long awaited summer holiday. 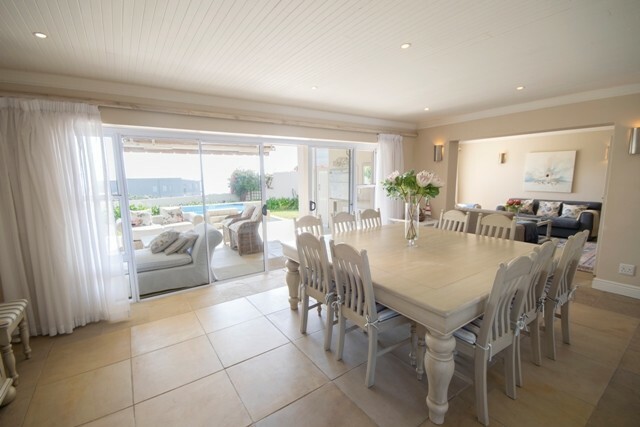 On the first floor you will find an open plan lounge, dinning room and modern fully equipped kitchen. 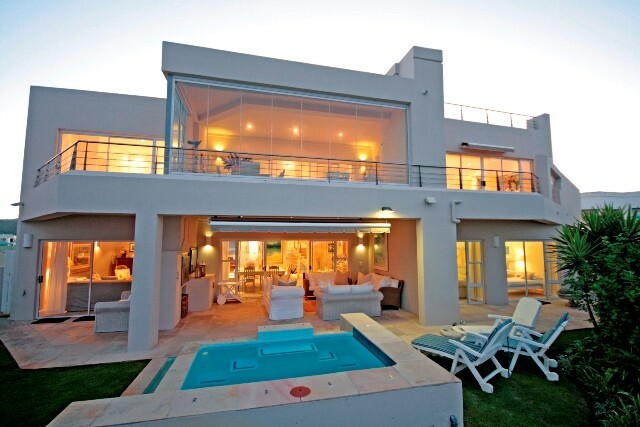 The patio that leads of the lounge has a good sea view and opens out onto a splash pool in the garden. Please be kindly informed that the pool does not have a net. There are three bedrooms on the level all en suite. 1st bedroom has a double and single bed with full bathroom. 2nd bedroom has two single beds and a bathroom equipped with shower, toilet, and basin. 3rd bedroom has a single bed and a shower, toilet, basin in its bathroom. Up a level and you will find a TV lounge that leads out onto an enclosed balcony with outside dinning table. 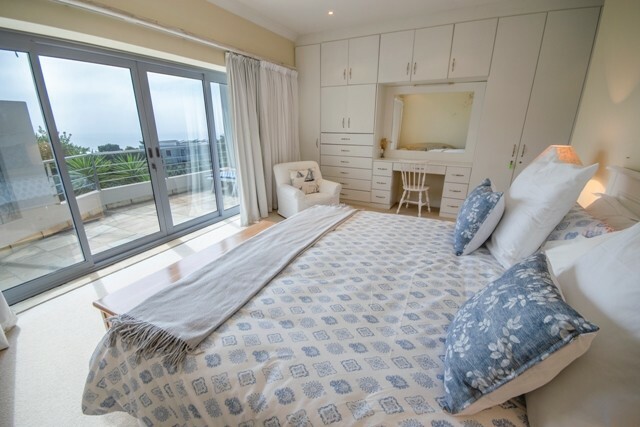 The main bedroom offers a queen bed and supplies a full en suite bathroom with matching his and hers basins. 2nd bedroom upstairs also has a queen bed and full en suite bathroom. A DSTV point is supplied please bring your own DSTV decoder and smart card. Extra linen for all beds is supplied and bath towels. Please bring your own beach towels. A single garage is offered and the front garden is fully fenced.